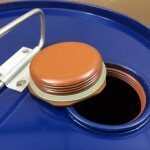 This steel pail is lined with a 2 coat red phenolic lining. 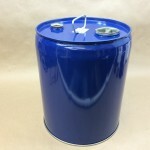 It has a dark blue exterior and a non-removable top which is ideal for products that need a higher UN rating. 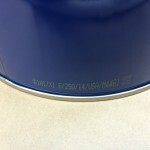 The UN rating on this pail is UN1A1/X1.6/250. 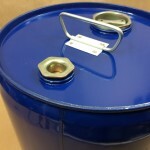 This is an X rated steel pail suitable for Packing Group I, II or III liquids. 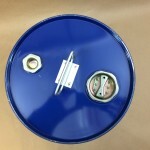 It has one 2″ and one 3/4″ Rieke Visegrip II steel plugs with irradiated PE gaskets. 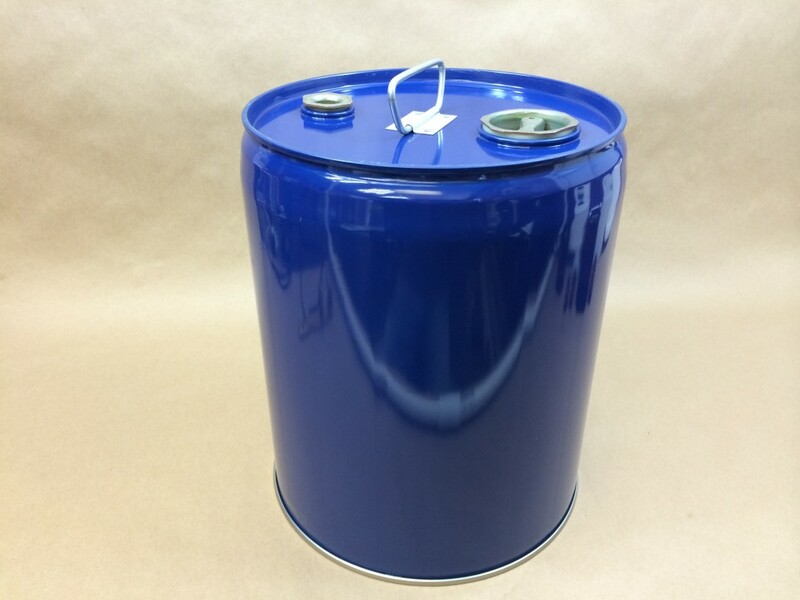 This is a 24 gauge pail with a strong galvanized steel handle and a stackable design. Red phenolic linings are unmodified phenolics and as such, have a high degree of acid and solvent resistance and are not recommended for alkaline products. Typical products which do not affect the lining are acid compounds, agricultural chemicals, insecticides, corrosive chemicals, solvents and solvent containing materials, nitrocellulose lacquers and inks, food products, essential oils and petroleum products. As always, product compatibility with the container is the responsibility of the shipper/end user and we strongly suggest you obtain a sample for testing with your product.